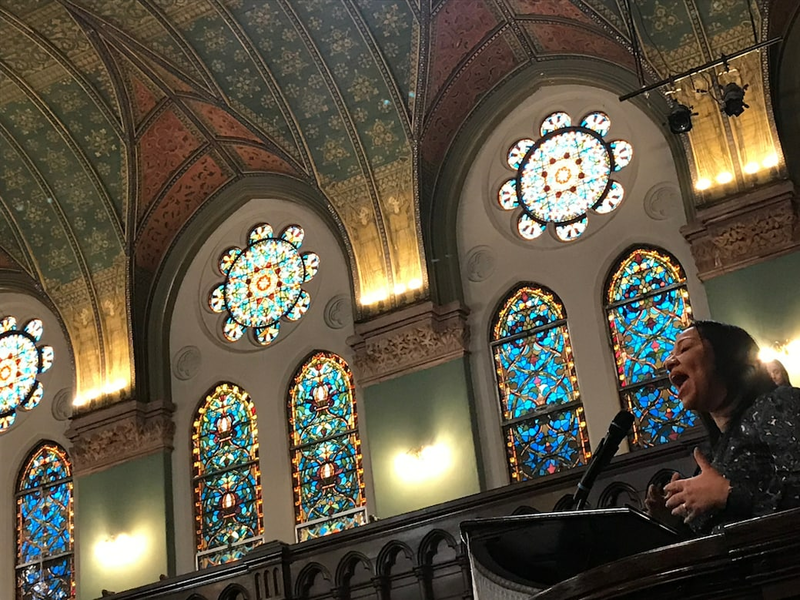 Brooklyn’s historic Emmanuel Baptist Church becomes the first church in the country to host a cannabis conference on Saturday, February 23rd with Women Grow, an advocacy group created to support women working in this industry. The five-hour free event featured some of the nation’s top Black and brown advocates, lobbyists and cannabis business owners and made them accessible to the public. The conference not only discussed the opportunities of the industry, but also stressed the urgency for Black folks to get in on the ground level of this rapidly growing industry. According to Leo Bridgewater, the veteran partially responsible for getting medical marijuana legalized for veterans in New Jersey during the Chris Christie administration, the majority of the folks making millions as marijuana entrepreneurs are young, white and male. The irony is that these entrepreneurs now are financially rewarded for the same industry that has people of color sitting behind bars. Spearheaded by Rev. Anthony Trufant, the cannabis conference aimed to connect the business savvy with those interested in making a monetary come up in the weed industry. Not only did Trufant want to open up this lucrative financial opportunity to the community, but to explore the social equity in rewarding one community with the prosperity on selling marijuana and locking up others. Knowing the taboo of the subject, many even in his church were against hosting the conference in the sanctuary. Representatives and experts were on hand to educate the community about acquiring licenses, growing the plant and getting a job in the weed industry. An estimated 500 people attended reportedly the conference. “There have been a lot of injustices that have happened to communities of color, and so for us, we want to work with our advocates and our governments to make sure we are correcting the injustices that have happened in the past,” Gia Morón of Women Grow told Pix 11. High-profile politicians were among the attendees, including Congressman Hakeem Jefferies (D), New York State Attorney General Letitia James (D) and others who are advocates for getting people of color out of prison and into the cannabis dispensaries.